NEW YORK (Reuters) - U.S. crude prices rose on Wednesday to a 4-month high above $60 a barrel after U.S. government data showed tightening domestic oil supplies, but gains were capped by concerns over global economic growth due to the ongoing U.S.-China trade war. The front-month U.S. West Texas Intermediate (WTI) crude futures contract, which expired Wednesday, gained 80 cents, or 1.36 percent, to settle at $59.83 a barrel. It hit a session high of $60.12 a barrel, the highest since Nov. 12. The more-active second-month WTI benchmark gained 94 cents, or 1.6 percent, to settle at $60.23 a barrel. International Brent crude rose 89 cents, or 1.32 percent, to settle at $68.50 a barrel. Prices rose after the U.S. Energy Information Administration posted a large and unexpected drop in crude inventories due to strong export and refining demand. Stockpiles fell 9.6 million barrels last week, compared with analysts' expectations for an increase of 309,000 barrels. The draw was the largest since July 2018 and brought stockpiles to their lowest since January. Gasoline and distillate inventories both fell by more than expected. Gasoline stocks fell by 4.6 million barrels, while distillate inventories fell by 4.1 million barrels. "The report is bullish due to the large crude oil inventory drawdown, which was a function of low import levels and high export volumes," said John Kilduff, a partner at Again Capital LLC in New York. "The across-the-board inventory declines in crude oil and refined products highlights the tightening market." 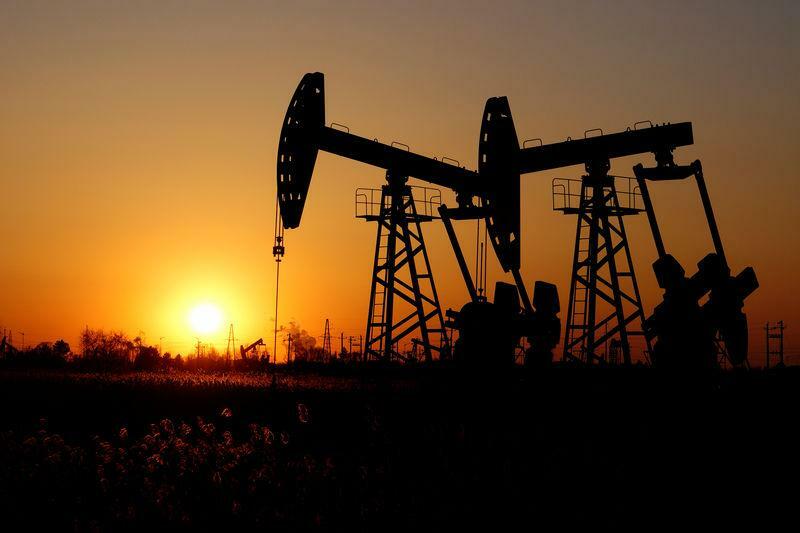 Crude prices have risen almost a third this year, pushed up by supply cuts among the Organization of the Petroleum Exporting Countries and its allies including Russia, as well as U.S. sanctions against oil exporters Iran and Venezuela. The United Arab Emirates's energy minister said he expects OPEC to finalise the long-term cooperation charter with its non-OPEC partners in June. Rating agency S&P Global raised its Brent oil price assumptions back up to $60 a barrel on Wednesday, on the back of the production cuts by OPEC and Russia. However, an eight-month trade war between China and the United States has worried global markets already concerned by signs of a slowdown in economic growth this year. There have been mixed signals whether the standoff between the world's top two economies can soon be resolved. Washington announced that Treasury Secretary Steven Mnuchin plans to travel to China next week for another round of trade talks with senior officials. "U.S.-China trade talks continue to present a binary risk for the oil market and other risky assets," BNP Paribas strategist Harry Tchilinguirian told the Reuters Global Oil Forum. Asian business confidence held near three-year lows in the first quarter as the U.S.-China trade war dragged on, pulling down a global economy that is already on a downward path, a Thomson Reuters/INSEAD survey found.